When you know how to create the perfect spread for any reading, the possibilities are endless! 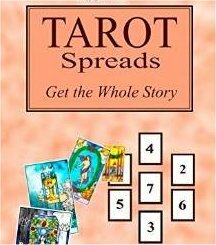 Do you find that most books of Tarot spreads leave much to be desired? Perhaps they don’t explain their spreads very well or maybe they just don’t suit your reading style and philosophy. As an experienced reader, are you bored with using the same spreads day in day out? Are you the person in the Four of Cups, looking down at the faithful three spreads you always use, not realising that if only you looked up, so many more possibilities could materialise? In these two master classes, James Ricklef invites you to look up and be ready to learn powerful ways to modify existing spreads and create new ones for special occasions or questions. 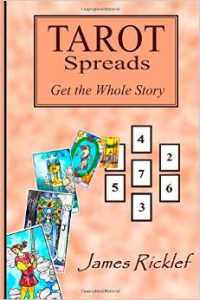 The result – perfect spreads to help you do the best possible readings! Any spread in which you’ve invested a bit of yourself will always work just that much better, so see how to create new spreads from old ones, for any specific situation, and from any source of inspiration. And even discover amazing ways to do a reading without any spread at all! These are hands-on sessions, so have your favorite Tarot deck and pen and paper at hand for the learning activities. The classes incorporate information from James’s book, Tarot Spreads: Get the Whole Story. Click here for more information on the book and how to purchase it. James Ricklef is a Tarot professional—reader, author, teacher, and deck creator—with over a decade and a half of experience. He has given workshops at major U.S. Tarot conferences such as the San Francisco Bay Area Tarot Symposium (BATS) and the New York Readers Studio. In addition, he has created a popular Tarot deck (Tarot of the Masters) and written several Tarot books including the acclaimed Tarot Tells the Tale, which he has expanded and re-released as a new edition called Tarot Reading Explained. His blog features over a thousand posts on various subjects pertaining to the Tarot, including many spreads.